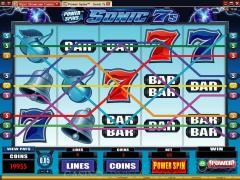 Power Spins is a new feature introduced by Microgaming in its slot games. 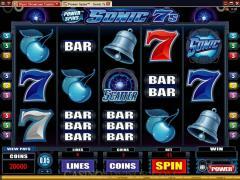 Sonic 7s is the first Microgaming slot game with this feature. 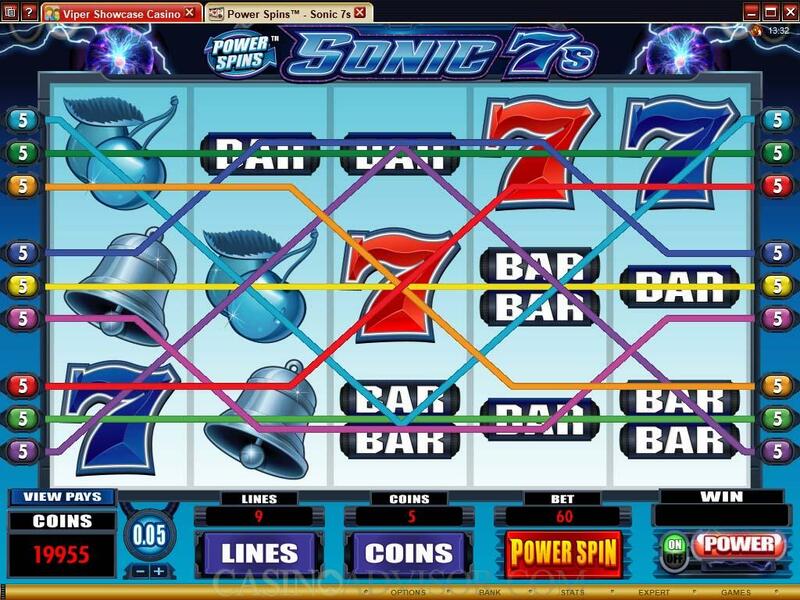 Sonic 7s takes some of the basic symbols from classic slot games and presents them in a futuristic environment. The symbols are blue, red and grey sevens; triple, double and single bars, the bell and the cherry. The cherry symbol is usually colored red, but in Sonic 7s it is of a steel grey color in keeping with the theme. 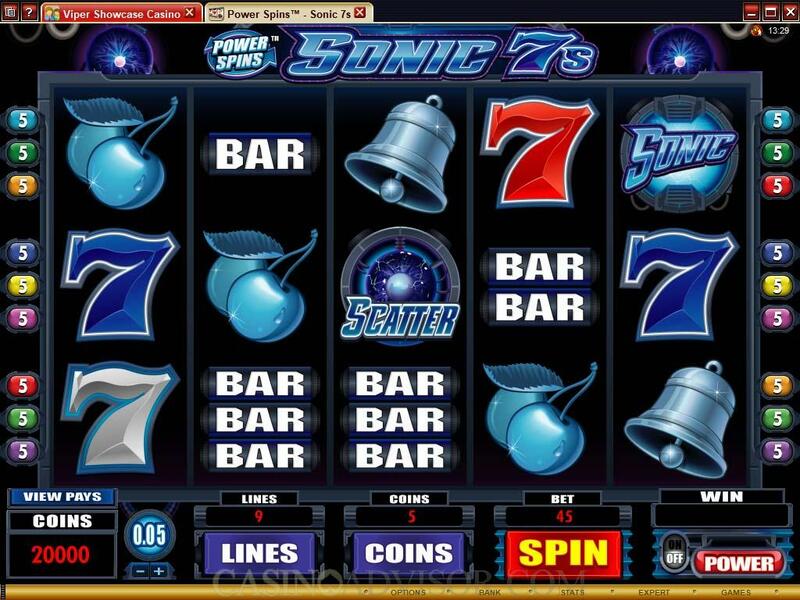 As is the practice in many classic slot games any combination of sevens and any combination of bars also results in payouts, though at a lower amount than the like symbols. The wild and scatter symbols are the Sonic Logo and the Scatter Logo. They have been crafted in keeping with the theme. No high value card symbols have been used. Interested in reading more detailed information about Sonic 7s? If so Click Here for more details.